When the Dutch returned to Indonesia after the collapse of Napoleon, the situation had totally changed. The time of great profit on spices was over. The trade in Chinese porcelain and Indian fabrics did not have the profit margin either. The time of the plantations had arrived. Products like coffee, tea, sugar, tobacco and later rubber and petroleum were now in high demand on the world markets. The countryside was laid open. Roads and railways arrived. Under command of King William I, painters and illustrators travelled through the immense empire and captured everything in their pictures and paintings and later on also in photographs. 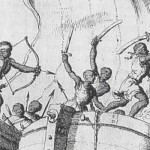 During the time of the East-Indian Trading Company, the possessions were defended in forts along the coast. These forts were placed on strategic locations along rivers and harbours. Now, the countryside had to be governed with small forts at the intersections of roads. There were a lot more officials needed because the area to be governed had grown in size, while the power of the countryside rulers had been restricted. This led to a lot of unrest and friction, for example with the succession of the sultan of Djokjakarta. The Dutch wanted another ruler than the expected Dipo Negoro, the brother of the dead sultan. The Java war was the result. The resistance of Atjeh led to a bloody war that lasted for years. For the inhabitants of the Dutch East Indies taxes were also imposed. This was done in a sneaky way via the so-called Culture System. The Dutch decided which products were required for the trade and the local farmers were forced to cultivate a part of their fields with the desired products. Every product was worth five guilders a year for each head of the inhabitants. At that moment, it was a major annoyance for the Indonesians and in hindsight it was the start of a shift in agriculture, which created the basis for prosperity. Just like during the time of the East-Indian Trading Company, the aim was to eliminate the competition. The Dutch Trade Society was founded and this institution was given the monopoly on “colonial goods” from the Indies. The directorship of the immense colony was in the hands of a select group of officials. It was the same thing for the maintenance of order. There were too few soldiers and policemen. The Dutch government in the Indies was again looking for contact with the abiding native rulers for support of the regime. The result was that a lot of Indonesians had to serve two rulers, pay twice as many taxes and were put into really awkward and random situations. It was a situation the official-writer Multatuli was very indignant about. Besides that, people were looking to train up local men for the military and official roles. This wasn’t an easy job because the East-Indian Trading Company had never cared about the education of the inhabitants in the Company’s regions. One exception, however, were the Moluccas Islands. As the result of the monopoly on clove trading, that region had been acting as a real colony for ages. A lot of Moluccans already spoke Dutch, were Christian and were in education. As the spice trade had almost entirely stopped, with the result of a lot of unemployed Moluccans, it was obvious that they were the people to put in positions of trust and in offices and military barracks all around Indonesia. With that, the base for the later problems of the Moluccans was set. For decades the products from Indonesia formed an important part of the incomes in the Netherlands. Now it was about plantation products like coffee, tea, sugar and tobacco and at the end of the 19th century petroleum and rubber were added to this. From 1820 to 1840, the first cracks appeared in the colonial order with a slowly dawning realisation of the Indonesians. The attack of the Japanese didn’t only bring terror, but above all dismay that an Asian country had managed to gain so much power. After the Second World War, they tried to keep the old colony through use of violence. However, the “actions of the police” ended on the 27th December, 1949 because of the transfer of sovereignty. In the sixties, a part of the old Dutch Trading Company’s activities where carried out by the ABN, a bank which enjoyed a great trust from the Indonesians, but nevertheless pulled out of Indonesia and the rest of Asia in about 2000. With that there came an end to 400 years of trade with Indonesia. However, the relationship between Indonesia and the Netherlands has remained steadfast, regardless of how people look at it.